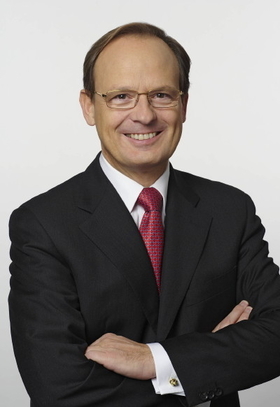 MUNICH -- German supplier Schaeffler Group has promoted two of its leading executives to run its automotive unit. Peter Pleus, 55, and Norbert Indlekofer, 51, will split the CEO position previously held by Elmar Degenhart, 50, who took over as CEO of Continental AG on August 12. Schaeffler has a controlling share in Continental. Pleus will focus on engine parts. As co-CEO, Pleus will now assume management responsibility for the company's engine component research and development center in Herzogenaurach, southern Germany. He also will continue to serve as president of Schaeffler's engine systems division, a job he has held since 2005. Indlekofer will lead the chassis systems unit. 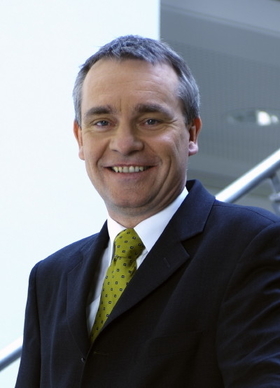 Indlekofer will take over responsibility for the the company's chassis systems division as well as remaining president of Schaeffler's transmission systems division. The changes will not effect the rest of the company's automotive executive team. Siegfried Kronmueller keeps responsibility for the automotive aftermarket business division while Peter Gutzmer remains acting executive vice president of Schaeffler Group Automotive in addition to his role as president technical product development. Schaeffler ranks No. 21 on the Automotive News Europe list of the top 100 global suppliers, with sales to automakers of $7.85 billion in 2008.